It’s Thursday and I am going to try to stay on topic as promised and bring you more hand lettering resources + how-to’s. The lovely top image above is by Quill & Fox, a very nice specimen to discuss the currently wildly successful lettering trend of brush lettering (I don’t know if that is its ‘proper’ name). I am sure you have heard of a little company called Rifle Paper that utilizes this ‘painted’ script very well, as does Meg Gleason of Mogela. I think this sort of imperfect hand adds a wonderful charm to your project. I searched the interwebs hi + low and had a very hard time finding what types of brushes, paints to use etc. I even tried some samples of my own with less than favorable results. Then I came across a wonderful resource for you from the Open Library a book (available to view for free on line) called The Art of Show Card Lettering. The book is copyright 1922, so it is a bit older, but it still has great specimen charts like the one on the lower right, with stroke direction (very helpful). It also has tips on brushes and how to hold them to get the most desirable outcome. It’s not modern by any stretch, but it’s still a wonderful resource for those wanting to delve into script with a brush. 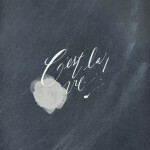 Amanda of Wit & Whistle has been trying her hand at hand lettering with gouache (the same medium Rifle Paper uses) and she chronicles her results here. I am all for trying new lettering techniques and this is definitely one of the styles that I would like to be able to master. If you are looking for more inspiration I have a TON on my hand lettering board on Pinterest, where I have been pinning away like it’s my job (wouldn’t that be a cool job?). Let me know if you have any tips on this style of lettering, I would love to know more! 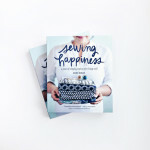 Sewing Happiness by Sanae Ishida a review + giveaway! 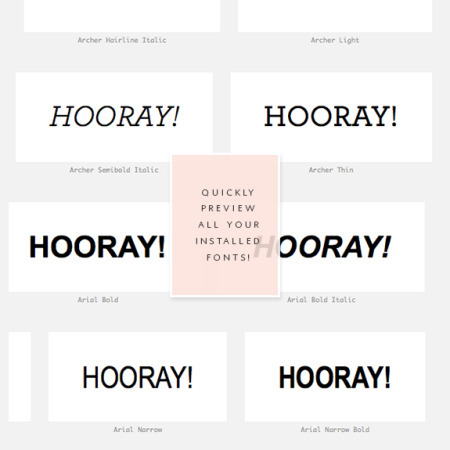 Preview all your installed fonts at once! It was so inspiring! As a little girl I’ve watched several artists paint for my dad and those memories have always stuck around in my head. How skilled they are with the brush! Thank you Merissa, have you ever tried? I think the same premise for the show cards could work for invites,logos, etc. I tried a couple times and it felt like my brush tips were to ‘soft’ and it looked like a pre-schooler was trying to write, lol! I found two old books on lettering last week—was so happy to find them. Hi Miss B, I pinned the diamond monogram and the brush lettering to my Pinterest account. I really love the diamond version and so here are my Initials: CLH. But, as always, want to support you so hope you sell tons!!! Your designs and color inspiration are wonderful! Love the coral-ly theme. P.S. 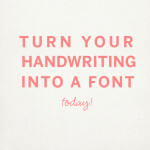 Will email a tip on brush lettering from a calligraphy prof. ages ago. Christine, I can’t wait to hear the tip! THANK YOU! Sabine, thank you so much that is SO kind!!! 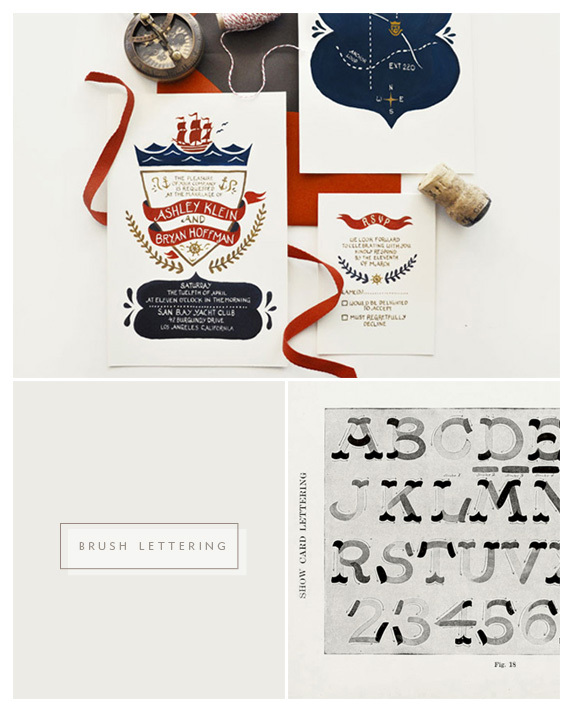 I went back and looked at the online book of The Art of Show Card Lettering…..loved the signage in there too! 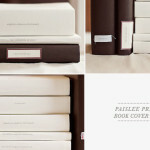 Very inspiring and great resource, thank you for sharing. Happy I took the time to look at it! Kara, I would also LOVE to see the books you picked up, you are so good at treasure hunting! Start looking for nobs & pens too, those are awesome!